This is comfortable to wear. I have used it 3 times since I received it, promptly by the way. It was a little less warm on the first ride out but the others were in warmer weather for this time of year and it performed better. This item fitted true to my regular size measurements. It feels fantastic, the fit is great and I expect it to last an extremely long time given the quality of the finish. Tremendous value for money. Brought this to replace my old RST jacket. Been great. Was skeptical about it being waterproof but after being. annihilated by rain on the A50 & A42 the only bit was damp was the inside of my elbow.The removable liner is a life saver too. It did turn up with some excess material on the right cuff but SBS replaced it free of charge. I purchased a XL, I'm 190 cm, 85 kg jacket has lots of adjustments and it's fit perfect. Good quality for great value. Oxford are quality products at a bargain price, lots of adjustments and fantastic fit. No signs of any leaks in heavy downpours and warm enough with just base layers and a shirt underneath. All for cheap money. I would of gave it 5 stars but there's one little thing that bothers me, the material around the neck inside if it gets wet it stained my white shirt with red dye. Apart from that it's a very good jacket warm, keeps the wind out, and water unless it comes in from the top, may be I'm not tightening up a lot .. Very impressed with this jacket so far. As an all year round commuter, this jacket seems to be an ideal choice at excellent value for money. 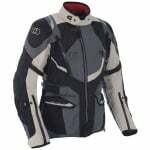 The jackets fits really well and comfortably with plenty of adjustment on the arms and waist to make it feel snug. 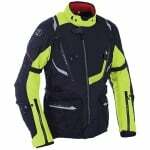 Having ridden already in low temperatures, the jacket and thermal inner keep out the cold really well. I can also see with the fantastic amount of zip vents that the jacket should hopefully perform well when the warmer days return. Useful deep pockets when needed. In heavy rain, the jacket has not let a drop of water through and it also has a rain hood although I've never used one. Nice styling and detailing too make this an all round fantastic jacket. I'm returning to biking after a few years away. I needed a full set of gear. Searched RiDE Recommended, read the reviews and purchased based on this. Was a little apprehensive about sizing. I'm a 42" chest. Bought an XL. Perfect. Had my first cold, wet ride last Friday. Very impressed. Bone dry and warm. Very happy. And SportsBileShop delvery was FAST. Brilliant. 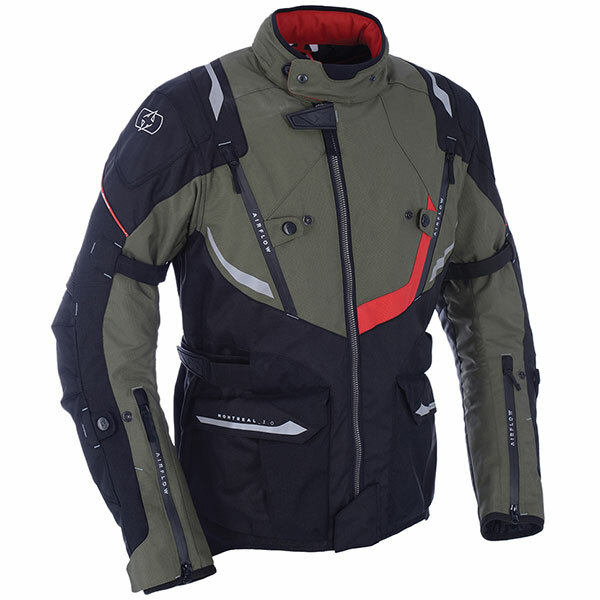 Warm, dry and above all comfortable with great features - large pockets, air vents. Good fitting jacket, tried at the weekend through some heavy rain and I stayed dry, Just need the summer back to try the air vents. Very pleased with this purchase. Good fit and seems well made. Comfortable to wear straight away with adjustment available for waist and arms. Not tried in the wet so far but good wind-proofing and a removable liner for extra warmth in the cold. Price seems very reasonable considering the overall quality of the garment. Back protector is garbage, better if they just didn't put one in to start with.